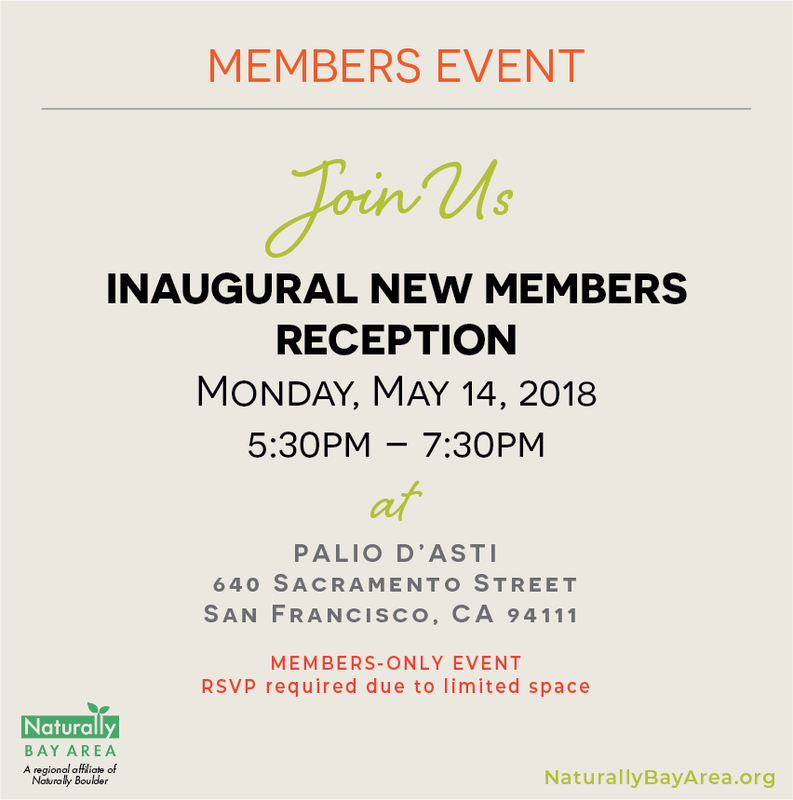 Thank you for your interest in our Inaugural New Members Reception. RSVPs for this event are now closed. 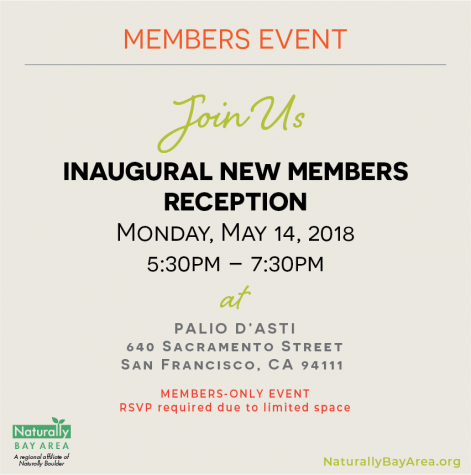 If you signed up to become a member of Naturally Bay Area on or before May 11, 2018 and would like to attend this event, please contact us at info@naturallybayarea.org to inquire on available space.